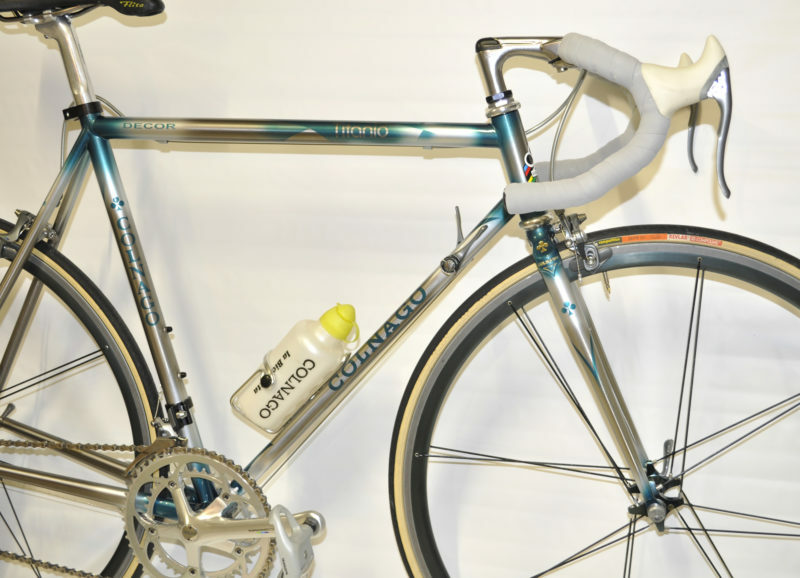 Very rare Colnago Titanio bicycle from the mid 1990s! 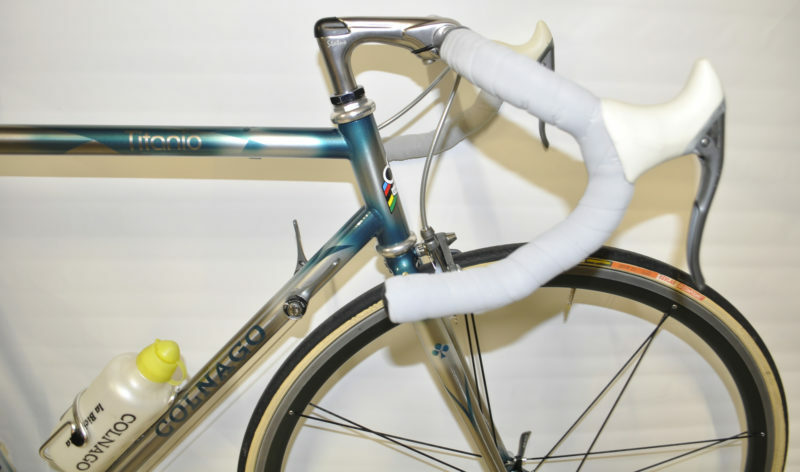 The frame shows the typical Colnago Art Decor paintwork and has dual down tubing. The exact name is Titanio Bititan. 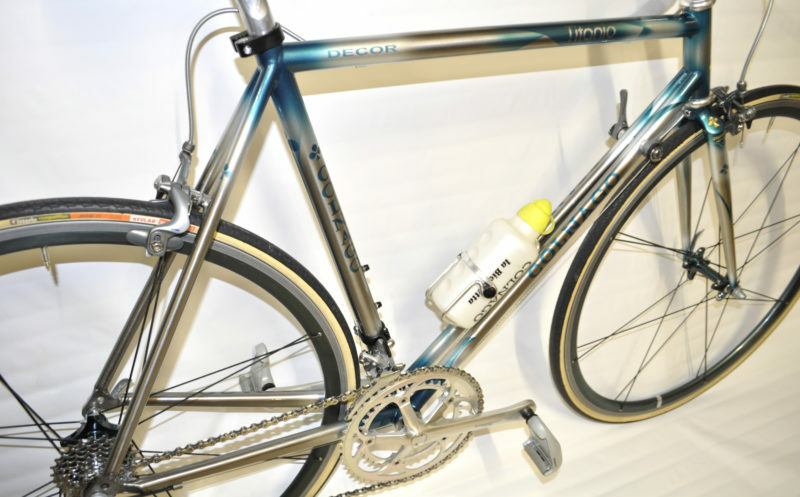 Frame and fork are made of very light and durable titanium and the bike is equipped with Campagnolo Record Titanium parts from the same era. 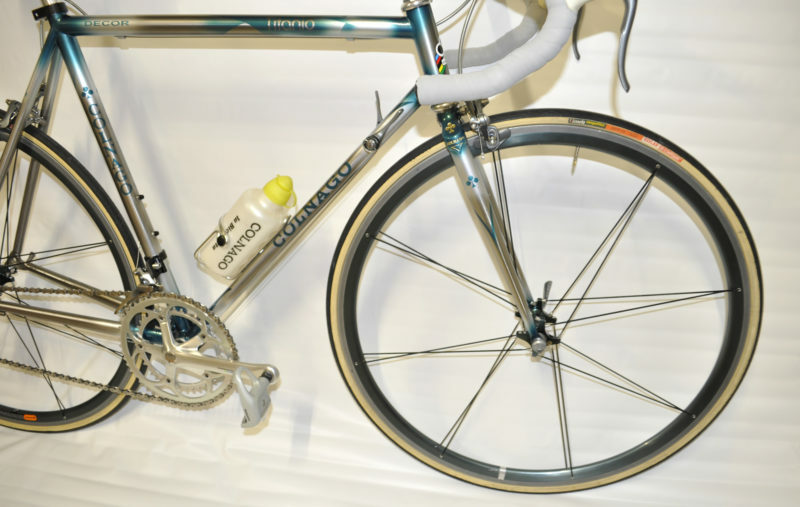 Just some of the highlights are the high profile Campagnolo Vento wheels and the Delta brakes! 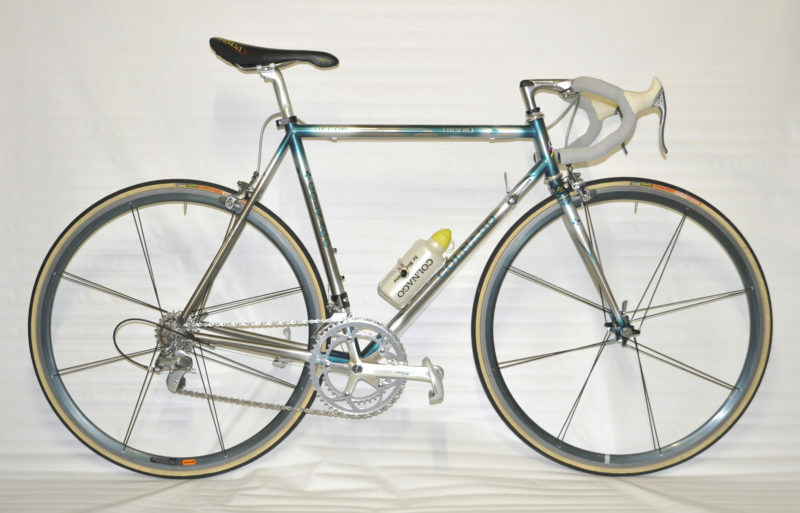 If you are looking for a light and rare classic bicycle, then this it is! 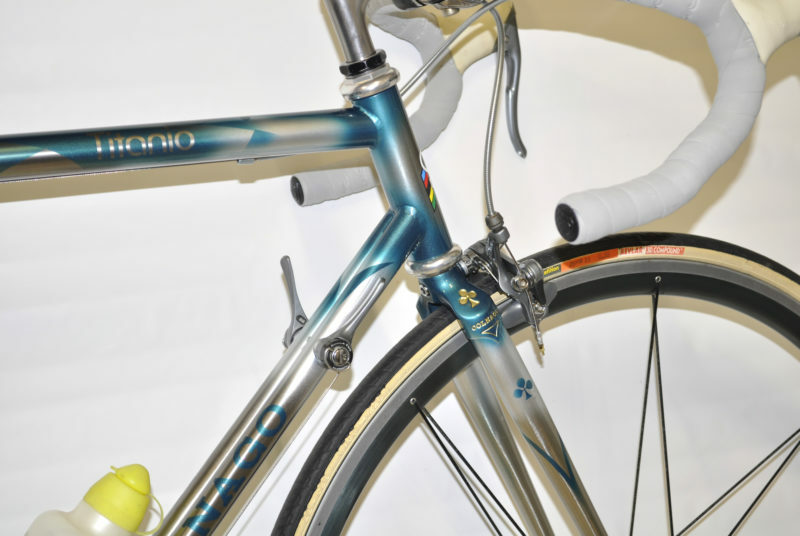 You will love the smoothness of the ride on a titanium frame and the great functionality of the best Campagnolo group! 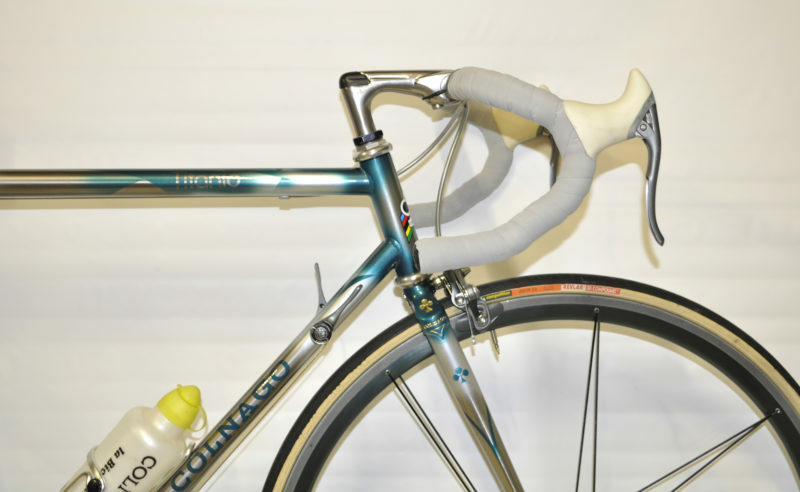 This entry was posted in Bicycles, News, Restored, Shop, Web and tagged 3ttt, art decor, bititan, colnago, ernesto colnago, flite, selle italia, shimano 600, titanio, titanium.